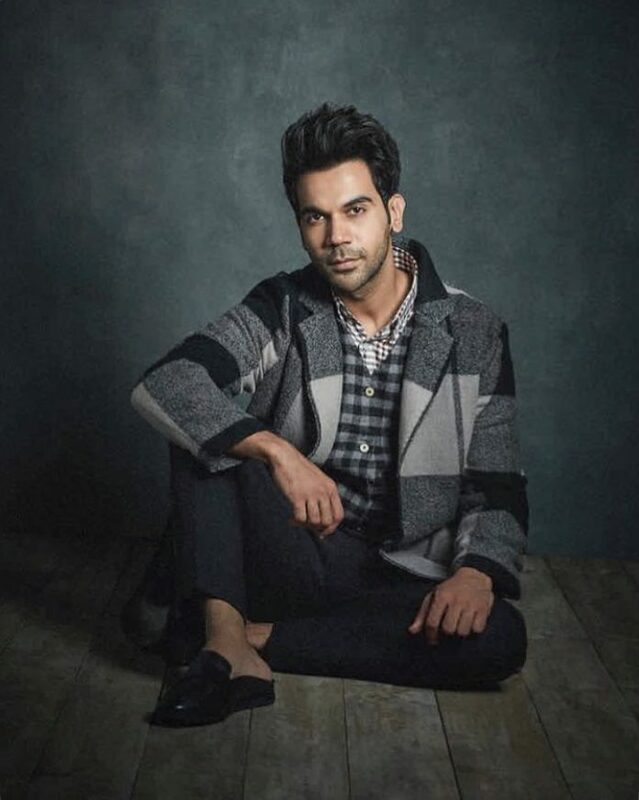 Talented star Rajkummar Rao is a massively in-demand actor. This is perfectly illustrated by the wide array of films that have released in recent years with him excellently playing a key role. The versatile star has shown off his impressive range in diverse characters that have received acclaim right across the board, which included five film releases in 2018. He has also won a number of awards along the way for his stunning performances. Next month, his second commercial film of 2019, Mental Hai Kya, will be released globally and sees him star opposite Kangana Ranaut in the dark comedy-drama about two troubled individuals forming an unlikely connection. Eastern Eye caught up with the seriously busy actor to talk about his remarkable recent rise, latest film and acting. You are massively in demand right now; how does that feel and did you imagine reaching these great heights when you started? It feels great to receive so much admiration and support from the audience. I honestly believe that nothing is permanent so I don’t let it go to my head at all. I just want to do good films and want people to know me for my work. I’m content with everything that’s happening in my career and just want to keep entertaining the audience and live up to their expectations. You are perhaps the hardest working actor right now, how are you able to take on so many projects? I think it’s part and parcel of an actor’s life. Being an actor, one needs to maintain a balance; not just between the professional and personal lives, but also space out the different projects that one has to work on simultaneously. I like being in front of camera, so I enjoy the whole process. You are doing very diverse roles, but what kind of characters are you most attracted to? I am happy to have been getting the kind of work that interests me as an actor. I just wish that I’ll get work that enthuses me to give my best every time. As an artist, I want to discover myself with every character and at the same time, make it real and convincing for the audience to enjoy each one of them. Which of your recent roles has given you the greatest joy? 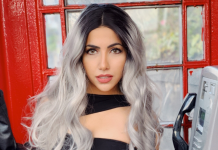 I think the roles that I have portrayed in films including Stree, Newton, Bareilly Ki Barfi, Bose: Dead or Alive, Omerta and my most recent release Ek Ladki Ko Dekha Toh Aisa Laga have all been extremely different from each other. I have thoroughly enjoyed the process of getting into the skin of these characters while playing them. But, overall, every character is an experience in itself. How do you approach creating each character and is there a set method? I don’t think there is any set method, but my approach is to understand the character thoroughly and later get into the intricacies of it. While reading a script, I think of me as a character and analyse myself in the role, and the preparation which I need to do to make it more interesting and relatable. Of course, there are improvisations and I like living in the moment on set. You have acted in very diverse genres, but which do you most enjoy? I am still figuring it out which genre I am most comfortable with, whether they are light-hearted characters or hard-hitting dark stories. I don’t want to be in any kind of comfort zone. I just want to push myself with every film and I’m equally open to all of them. Tell us about your new film Mental Hai Kya and what can we expect? Well, the movie is something that would really take the audience by surprise. The film has an amazing script and is very different in the dark comedy genre. I won’t be able to talk much about the film, but all I can say is that it will really blow your mind. What was the biggest challenge of acting in Mental Hai Kya? It’s quite a complex character and I like such characters. There are so many layers to it and to explore those layers and still keeping it real could be the biggest challenge. Honestly speaking, just being in front of the camera is my most favourite moment, so each one is special in every film. What other films do you have on the way? Right now, the focus is on Mental Hai Kya, which I am very excited about. Post that, I have (director) Anurag Basu’s next and then Made In China, for which I will be reuniting with Maddock Films. This is followed by Turram Khan, which is a social comedy based in a small town. There is nothing like a dream role. It all depends on the script – even if it’s a character hailing from a small town in Bareilly Ki Barfi or an election officer in Newton or someone from the rich background, but wants to chase his dream in Ek Ladki Ko Dekha Toh Aisa Laga. For me, the only dream was to be an actor and I am living that dream every single day. Have you made a master plan for your career? I don’t believe in a master plan. All I know is to look forward to the interesting characters coming my way that challenge the actor in me and requires me to push the envelope each time. You are very hardworking, but what are your biggest passions away from work? I really like to travel a lot. If I manage to get some time between my film shoot, I try to explore a new destination. What do you think is the secret of a great performance; you clearly seem to know? Growing up, I had nurtured the dream of becoming an actor, which has been finally fulfilled. I don’t think I have done anything to be boastful about. I am just an actor. There is no secret to a great performance. I would just prefer sticking to the work that I am being offered. Which actor or actress do you look up to? I am a huge fan of Shah Rukh Khan. He is the inspiration behind me travelling all the way to Mumbai in order to make my mark as an actor. In spite of being the megastar for years, he is still so grounded as a person and this quality really inspires me a lot. When it comes to performance, Daniel Day Lewis is my all time inspiration. You have worked with some amazing people but who has been the most memorable? I have had the privilege of working with some of the finest filmmakers and talented co-stars. But if I have to name one, it would be Hansal Mehta sir. Together, we have worked on quite a few successful and critically-acclaimed films including Shahid, Aligarh, Citylights, Omerta and the web series Bose. We understand each other so well and that probably reflects on the screen also. I’m working with him on my next project Turram Khan as well. Tell us, what kind of movies do you love as an audience? I like watching different genre films, but, yes, the script, narrative and performances need to be compelling enough. So to select one type of genre and subject is difficult and wouldn’t be right. To be honest at your job and keep working hard towards your goal. It was, ‘always listen to your heart because your heart is always right’. There are a few of them. The Godfather, Forrest Gump, Dilwale Dulhania Le Jayenge and Shool. I was very much influenced by all these actors delivering such fine performances in each one of them.